Osaka nerds can breathe easy. Hopefully. Two male suspects have been arrested for "otaku gari", AKA "otaku hunting." 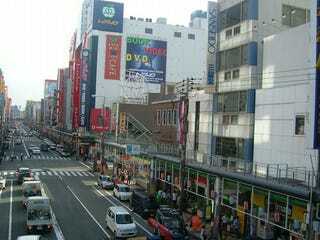 Back in 2006-7, there seemed to be several cases of otaku hunting, but since then, the streets have been relatively safe. This latest duo targeted their victims in Osaka's Den-Den Town, the gaming/anime/manga/electronics district of the city akin to Tokyo's Akihabara. One of their tactics included dropping their own already broken cell phone and asking for "repair money." Those otaku who didn't have any money to cough up, the suspects tried forcing the victims to take out a loan from a lending company. The men, aged 20 and 22, have confessed to targeting approximately one hundred "otaku looking" individuals and mugging them to the tune of roughly US$30,000. And now they're arrested.